properties. 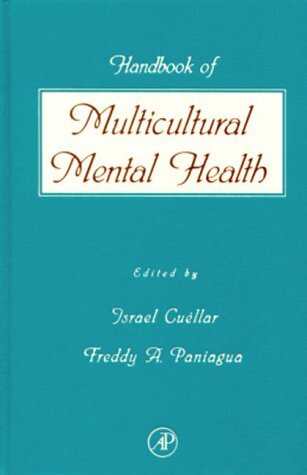 Part 1 presents introductory material on the definition of mental illness and pathological behavior in differing cultures, epidemiological data on the prevalence of different disorders between differing population groups, culture specific beliefs (e.g. hexes), and the influence of culture on treatment. Part 2 discusses assessment issues including how specific measures (Rorschach, MMPI, etc.) are best interpreted with different population groups, and the existence and use of ethnocultural specific measures. Part 3 discusses assessment and treatment of specific population groups (e.g., Indians, Asians, Latinos, etc.). Who Are the Minority Elderly? To What Extent Is the MMPI-2 Used with American Ethnic Minorities? What Are the Trends of MMPI-2 Research with Minorities? What Types of Research Still Need to Be Considered with the MMPI-2? What Defines a Culturally Competent Approach with the MMPI-2? Psychology Is Irrelevant to "Minorities"